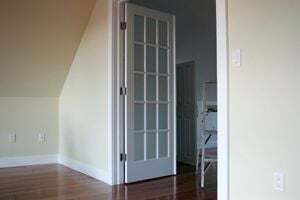 Comment: Replace hollow core bedroom door with single bi-fold fold French door (track and hardware included). Doorway measures 29 7/8 â wide by 79 7/8â height. Bi-fold door measures 29 1/2â wide by 78 7/8â height. Are these measurements doable? If yes, I would like a price to install. Comment: Replace exterior door and install new one along with a gate. Comment: I would like to get an estimate for 3 interior door replacement. Comment: I would like to get an estimate for installing a bedroom door where there is currently no door. Bronx Door Services are rated 4.60 out of 5 based on 432 reviews of 41 pros. Not Looking for Doors Contractors in Bronx, NY?